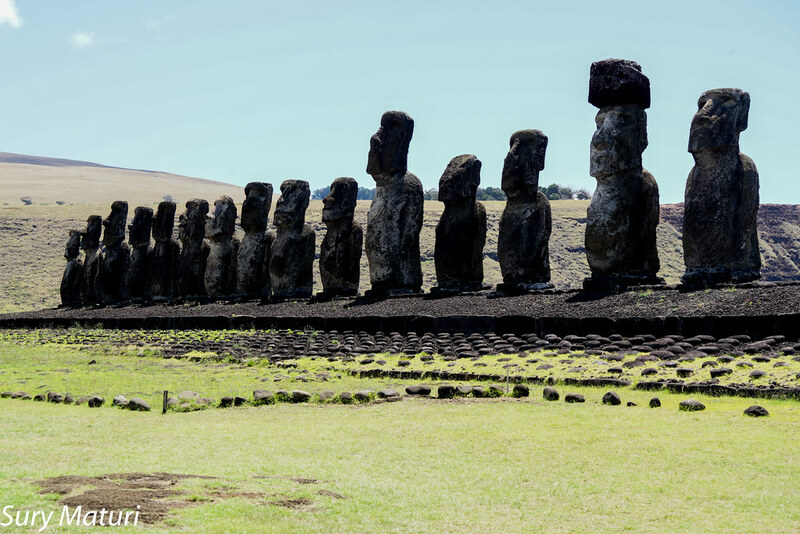 An ancient cementery, 200 meters long, that features 15 statues. 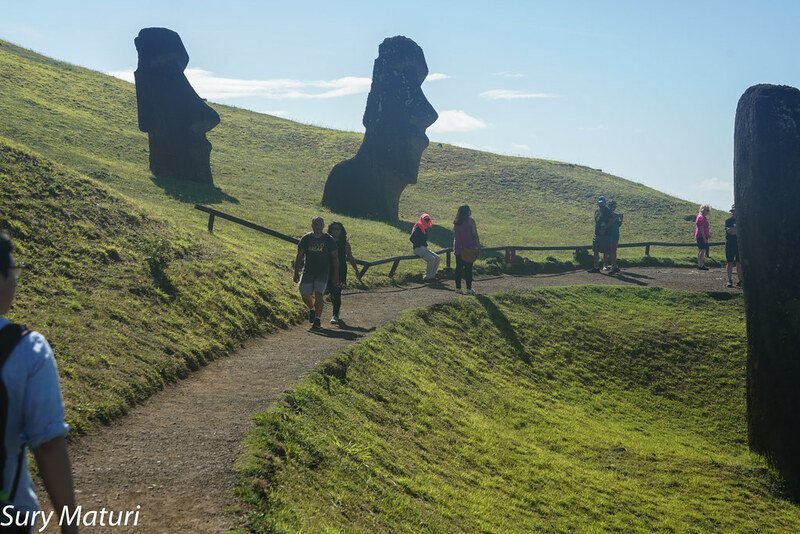 It is the most important in Rapa Nui and it was restored between 1995 and 1996 by Chilean archaeologists, after its destruction by a tsunami in 1960. 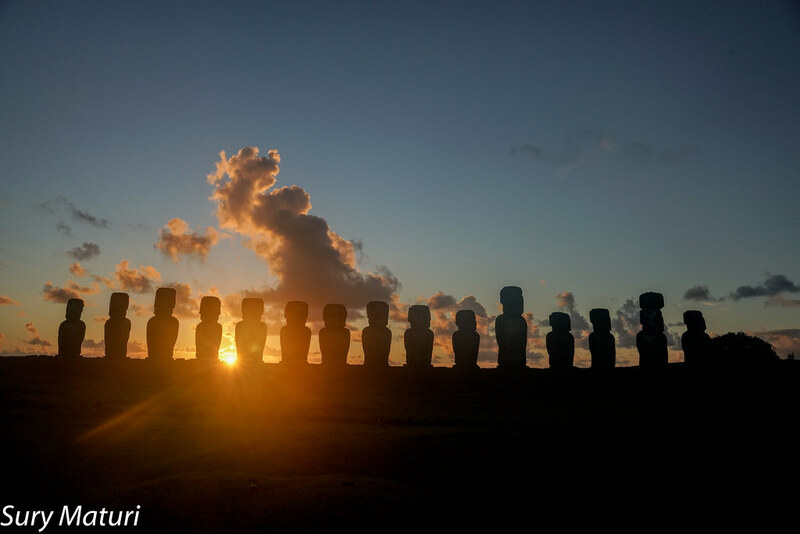 There are moais and pukao surrounding it. Behind it, there is the Hanga Hotu Iti bay. This attraction is an old sanctuary. Its archaeological interest is combined with its three “Ahu”, one on the north, other on the south, and the last one in the center. 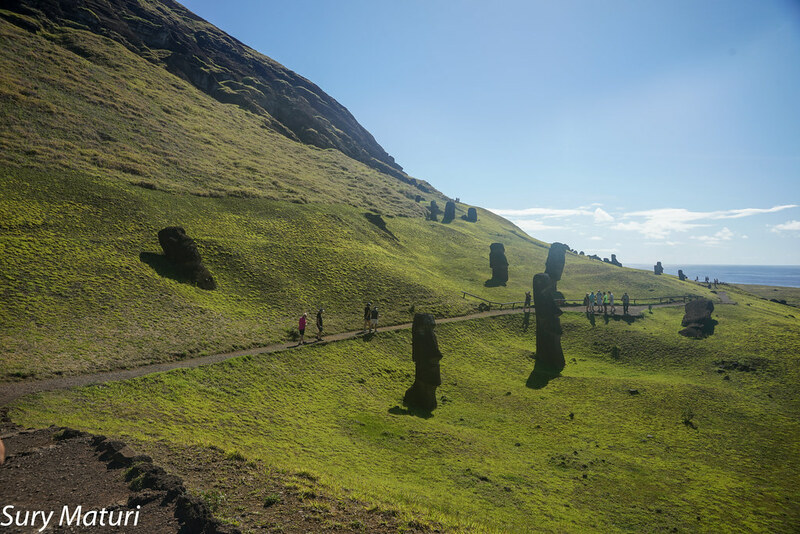 In Tahai you can find archaeological vestiges of Williams Mulloy, in the southern Ahu, and in the northern moai you will see the white coral eyes. 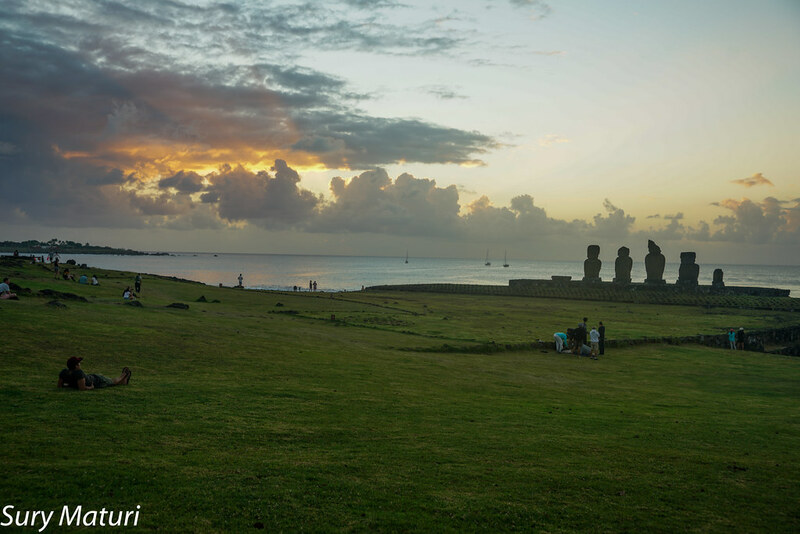 In the place is celebrated the Tapati Rapa Nui. Nicely captured, Sury. They look enigmatic and dark. for a village to exist between the statues location and the coast. Thank you for the informative input. Your guide certainly must have access to more credible historical telling of how they lived at the time. The mystical mystery that surrounds them, the way they look and the sizes evoke a lot to the imagination. 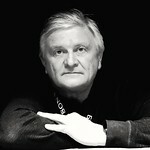 Thank you Yildiz, DA and Valery. 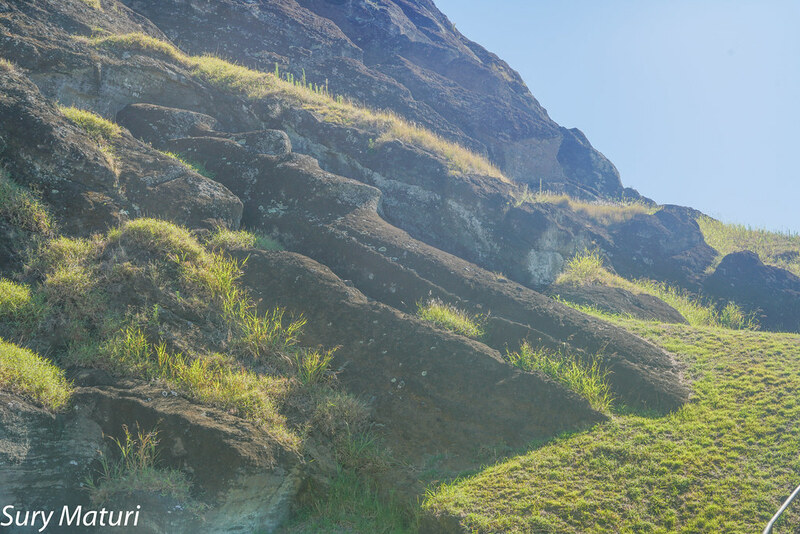 This is the quarry from which the Moai are carved. It's like taking a peek at history's "behind the scenes".